Color Selection: Black, Blue, Red & Green. 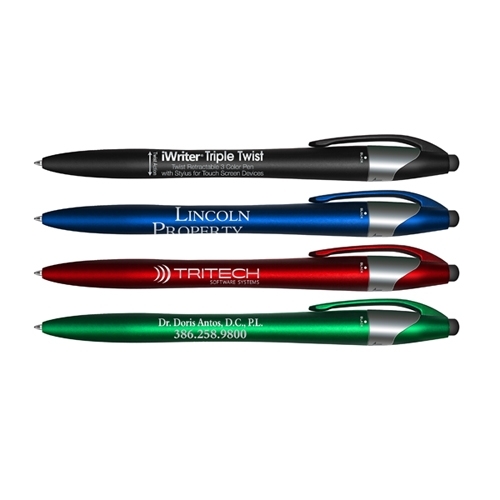 Writes in 3 ink colors: Black, Blue & Red. 2 Color Barrel Imprint Available! Barrel Imprint Area: 1 1/2" x 13/16"
Clip Imprint Area: 1 1/4" x 5/32"
Exact Repeat Setup: $20.00(g) per color Barrel Imprint. $30.00(g) Clip Imprint. iWriter® is a registered trademark of Liqui-Mark Corp.